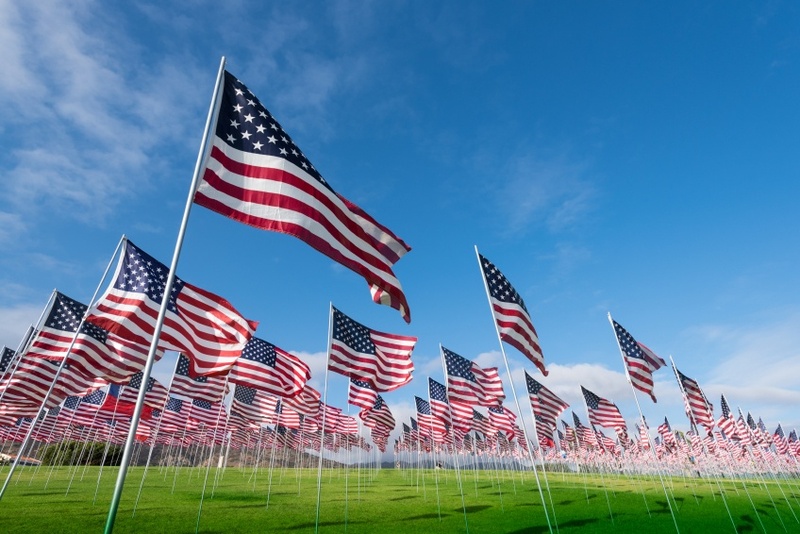 Memorial Day is a day of remembrance of the brave men and women who gave their lives for this country, held on the last Monday in May every year. With this special day right around the corner and with the weather warming up, it is the perfect time to show off your cooking skills and make your yard the location for a Memorial Day Party. We have gathered the top Memorial Day Party ideas from homeowners like you from the social media outlet, Pinterest! A Sweet Favor- Give your guests something that they can take home that satisfies their sweet tooth, like this red, white, and blue cupcake favor. Games On The Lawn- Here, you can buy an example of the game from Target, but you can easily make your own with some string and cardboard letters from the craft store. Lawn Stars- Make your own with flour, water, and a homemade stencil. This will make a cute addition to your backyard party without harming your lawn. For pictures and examples of what other homeowners have done, click here. Reuse tin cans for eating ware- This is a patriotic and decorative way to display your forks, knives, and spoons. For full instructions, check out the post on Pinterest. Red, White, and Blue Handprint Wreath- make this cute craft with kids to display at your Memorial Day party. Check it out, here. Don’t forget to spruce up your lawn! In lawn care, being late can mean the difference between a beautiful lawn, and one that is full of weeds. That's why we've laid out step-by-step everything you need to know when it comes to lawn care material and when to apply it for the month of May. The best part is that this guide is yours, absolutely FREE by clicking on the link below. Or check out our packages page for more information on our services and prices.